In 1975 when Mangelsen created his very first limited edition photograph, he made the decision to hold back his most valuable prints, numbered 1 to 20, so that one day as a career capstone they would be offered as part of a Legacy Reserve Collection. Many images featured in this collection have been sold out for more than a decade, complemented by recent masterworks destined to sell out in the future. 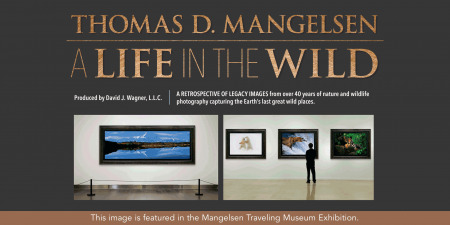 Initially reserved for museums, conservation nonprofits, and family members, collectors now have the unique opportunity to acquire Mangelsen’s “best of the best” photographs, to own one of the twenty numbers from his personal artist reserve. 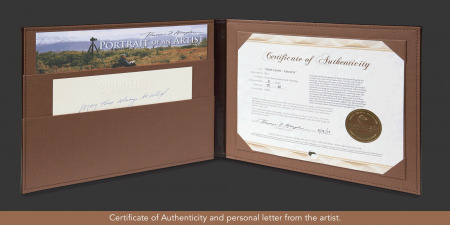 Each Legacy Reserve fine art collector will be invited to join the legendary photographer for an unforgettable Grand Teton Adventure. 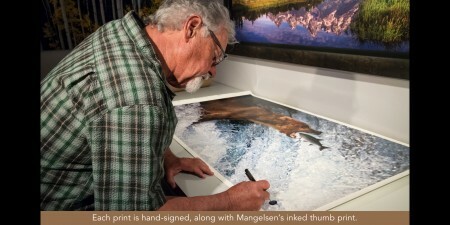 Mangelsen is as much a conservationist as he is an artist, and thus a portion of the Legacy Reserve Collection proceeds will be donated to critical conservation issues close to his heart. Like Eyes of the Grizzly, Thomas D. Mangelsen’s Mountain Outlaw - Grizzly Bear is an attention grabber and a showstopper. 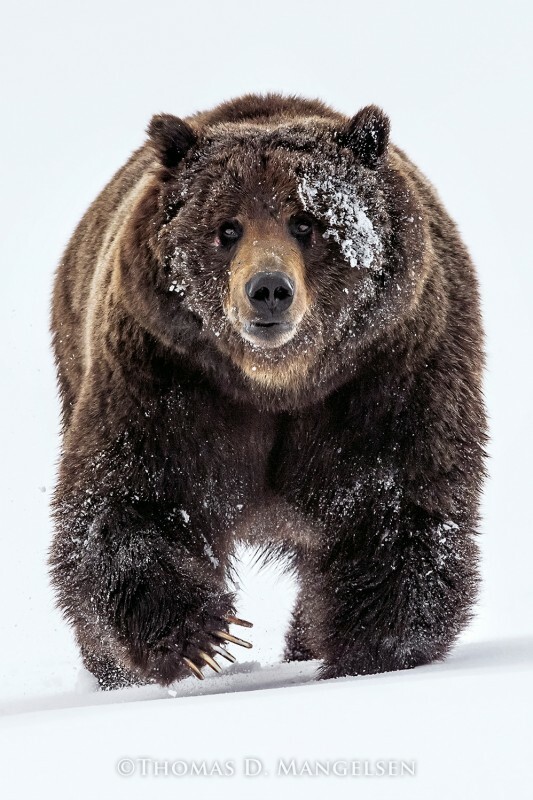 Here, a 700-pound male, a formidable grizzly in Yellowstone appears to be huffing straight toward the viewer. Front claws visible, evincing an ancient look that passes right through us, the dramatic moment reminded Mangelsen of the primitive sensation he’s known while photographing African lions. This grizzly, whose size and old age has earned him primacy, was earlier feeding on a huge bison carcass along the Yellowstone River, the buffalo having fallen through the winter ice and perished. Afterward, the mighty bear fought off other rivals who were trying to court a female with whom he found companionship.